As Techweek ‘18 approaches, it’s a good opportunity to celebrate and connect with the technology and innovation sector across the country. It’s also an opportunity to amplify the things that make us great to a global audience. Something I’m most proud of is the way that Xero fervently supports a diverse, inclusive workplace. This benefits employees, drives stronger business outcomes and better reflects the diverse community of customers and partners Xero interacts with every day. We still have a way to go, but we are committed to addressing the worldwide gender disparity in tech. Our goal is to ensure that women in tech have every opportunity to be the best version of themselves in the workplace. Recently, I had lunch with some of our female developers. I wanted to know what their path to Xero was – how and why they got into tech. Several of the women singled out someone close to them who had encouraged them to pursue a future in tech. A Mum, Uncle or other family member, a mentor at university or high school. Or an inspiring acquaintance who took the time to answer questions about their education and career. On the flip side, some of our talented female developers didn’t even realise that tech was a career option for them while they were growing up. But tech is moving away from its stereotype of male dominance and young women who are passionate about tech have a wealth of opportunities available to them in the industry. Roles that didn’t even exist a couple of years ago now form key parts of development teams, so now is a really exciting time to stamp your mark and build a career. I also asked these women what they like best about working in tech, and their answers all carried a similar theme – how rewarding it is to be able to roll out products that have a huge impact on our customers and solve real life problems. This challenge of having new problems to solve every day, the opportunity to learn something every day and seeing a product you’ve worked on actually being used and making a difference are all big points of pride for our female developers. I’m really proud of the constant focus we place to creating a supportive culture at Xero. Our teams are collaborative and made up of diverse people with different strengths and passions. We want to make sure that women (and men) get the opportunity to develop leadership skills and gain the opportunity to lead teams, because this experience is invaluable for career development and personal development. We also foster female development through mentoring. 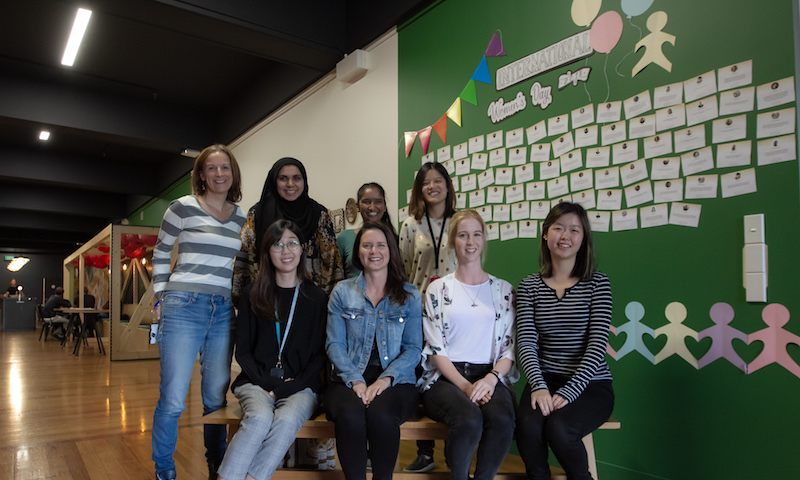 In fact, we’ve just launched a pilot mentor program for women at Xero, in partnership with Mentorloop. This adds to less formal mentorship which we encourage. Our staff really value the opportunity to buddy up with someone senior, or to participate in dedicated social media channels, meetups and social events to build up their network of peers and allies. It’s also important that we bring men along for the ride too and one way we do this is to identify men in our network of allies. We’re currently trialling ally training in my team, for men and women. We want our male and female leaders to role model ally skills – to be able to identify and take action if they see a colleague being marginalised. We know we’re trying hard but we also know that, like most tech companies, we can do better. We’re continually working to implement new ways to reduce gender disparity in the industry and to support our fantastic females in tech. So, I put the question out there to others – what are you committing to in your business? After all, change often occurs when the community moves together. Xero is thrilled to host the screening of She Started It – a documentary about women tech founders – in Auckland and Wellington. After the screening there will be a panel discussion with local female entrepreneurs, academics and investors who are all keen to encourage, support and inspire a new generation of female tech entrepreneurs into the marketplace. The post Celebrating women in tech appeared first on Xero Blog. The fate of your small business – sealed or created?